One of the things I love about being a part of God’s creation is seeing all of the ways in which He has made us unique. Take passion, for example. Have you ever noticed that what sets the soul on fire is different for everyone? My husband’s face lights up over hockey, Nascar, monster trucks, documentaries, long sleeps and anything business related. But God created me to marvel over a completely different set of things. Nature, music, books, sunshine, writing, cooking and baking — these are the things that speak deeply to my soul. These are the things that help renew my faith when the troubled waters of life’s trials rise over my head; and I’m so thankful to God for allowing me to experience such beauty, joy and peace through it all. Regardless of our unique list of passions, there’s one thing we have in common: God has set a longing and fire for eternity in our hearts (Ecclesiastes 3:11), and that longing leads to a deep need for His Word. Making time to be in God’s Word is the surest way to renew and develop a stronger faith. There was a time in my faith journey when I didn’t open my Bible, save for church on Sundays. It’s not that I didn’t want to read the Bible; I just didn’t understand why reading it was so important. Now that I’ve been walking this road a little longer, I know that the words of Hebrews 4:12 are true. God’s Word IS living an active. It IS sharper than any double-edged sword. It DOES speak to our hearts and like a fire within that burns with a deep passion for the Lord. When we open the door to our hearts and give God a chance to speak to us, He will. If you’re in a place where your faith feels stagnant, dead or wavering, I cannot express to you enough how important it is to arm yourself with the truth and make time to be in God’s Word — even if you can’t fully believe what you are reading. 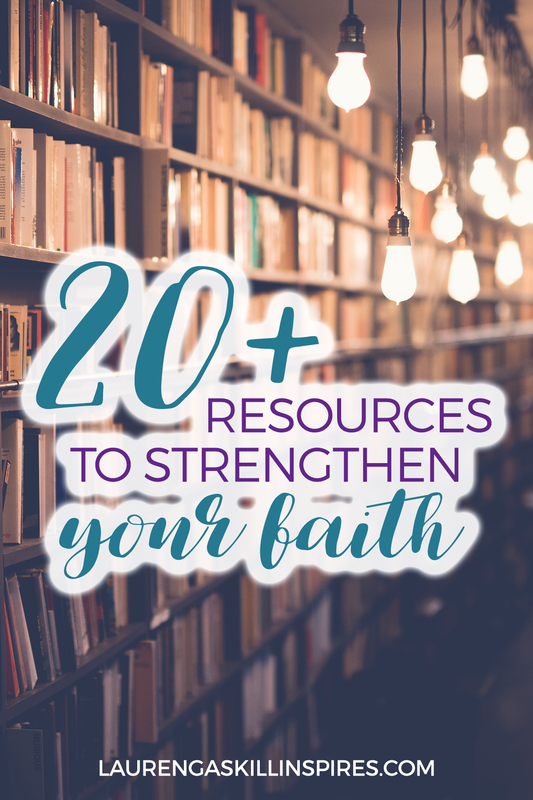 That’s why I’ve compiled a list of more than 20 resources that will draw you into God’s Word and help nourish your faith. There is nothing more valuable than making time to be in God’s Word. We all have a list of passions that speak to our soul, but none of them can be a substitute for God’s Word. Spend some time with one or two of the following spiritual resources to strengthen the foundation of your faith today. In this post, Kaitlin shares which apps have been monumental in helping her know how to study the Bible on her own. If you want to learn how to be consistent and excited about waking up to read God’s word, this post is for you. Everyone prays differently. Develop a strategy that works for you and get ideas for who and what to pray for with this helpful list of prayer prompts from Keela. Jesus says if we have faith the size of a mustard seed, we can move mountains (Matthew 17:20). Join Lauren as she writes about how prayer has increased her faith and how it can deepen your relationship with Jesus today. God is in our past, our future and is here right now. But how can we learn to trust Him day in and day out? Jill unpacks how to build your trust in God with a few, simple daily habits. This six-week Bible study on shame and identity explores how we can own our stories, trust God’s affections, and relate honestly with Him and others. Drenched in Scripture, and allowing plenty of space to journal and savor biblical truths, I Am Found welcomes you on a personal journey of transformation through God’s Word. Cindy Bultema explores Paul’s first letter to the Corinthians and shows how believers today can navigate their way in a wayward and confused culture. 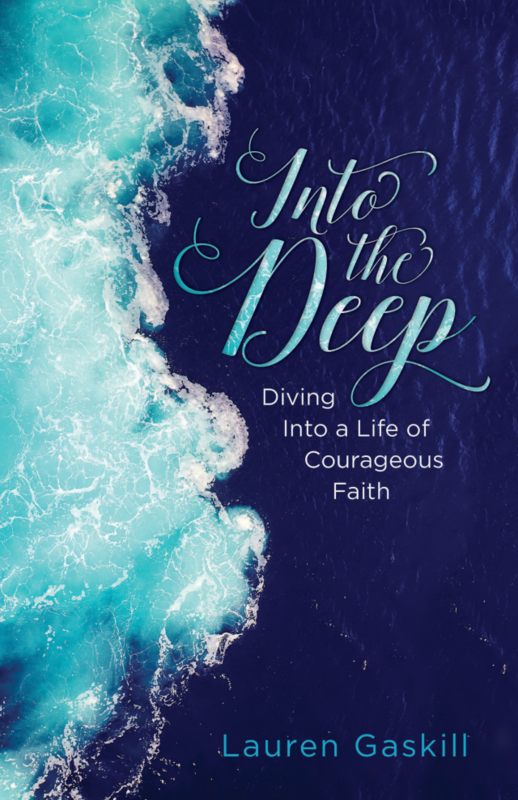 Touching on themes of identity, unity, purpose, and purity, this study will equip you to live for God in a sin-soaked world and handle each situation with grace. In this free online Bible study, Sarah reveals how Psalm 119 teaches us how to live life without regrets; be single-minded in our pursuit of God; deflect the harsh words of our critics; be fully satisfied in God alone; and live a life in-step with God’s Word. Don’t have time (or don’t like) to read? Ariel’s post offers 10 powerful videos that are definitely worth watching when you have the time. Netflix is great, but these videos will get you up off the couch and dancing for joy over how great our God is! How do we become more bold? How do we have more faith? Jenna shares some thoughtful tips and practices that have helped her leave timidity behind. Whether you are a prayer newbie, a prayer novice, a prayer wimp, or a prayer warrior – you can improve and enhance your prayer life. If you desire to pray, but don’t know where to begin, check out this post by Melanie Redd. Many of us grow up memorizing scripture, but do we really hide it in our hearts? Hold these 25 verses close by committing them to memory, and they’ll be sure to strengthen your faith! Are you ready to stop striving and start abiding in Christ? Do you want to learn how to let go of the past and let God take control of your present and future? I created this free email course to give you five ways to experience freedom in faith today and every day. When my faith is shaken, this book brings me hope every single time I pick it up. In the seven years I’ve owned this book I think I’ve read it more than three times. What inspires me about Mary Beth Chapman is that, as difficult as life can be, she Chooses to SEE, and that’s something the rest of us can learn a lot from. Do you want more out of life? Have you ever wondered if there’s more to this Earth than meets the eye? Walk with Jennifer as she unpacks the beauty and wonder that is found when we put our hopes, dreams and plans into God’s hands, trusting He’ll do what’s best. Holley writes, “We try to find a purpose for our being. But the reality is we are not only made for a purpose; we are made for a Person. We are made for the Star-Scatterer, the Water-Walker, the Man-Sculptor who brought us forth from dust. We are made for the One who still holds all the world in His hands.” You don’t want to miss this post! When we step out in faith it’s not always clear skies and calm waters — there will be winds and waves. But God is there every step of the way. Join Suzanne on this 21-day journey toward developing a deeper trust in our great Creator and Sustainer. This blog post will help you find the courage to step out of your comfort zone and into God’s beautiful plan for your life by embracing a different approach. God’s Word is our best defense against the attacks of the enemy. Read how Sarah has learned to replace her anxiety for God’s perfect peace. From remembering the cross and unleashing the power of prayer, to rekindling a bold and enduring love for Jesus, Marva’s “Back to the Basics” blog series will bless your faith in so many ways. In this journal you will find 6 steps to knowing your self-worth with 6 truths and 6 actions steps. And an added bonus with 24 verses for when you need a self-worth boost! In the classic Mere Christianity, C.S. Lewis, the most important writer of the 20th century, explores the common ground upon which all of those of Christian faith stand together. Thanks for including me in this great list of resources, Lauren! You bet, Melanie! So blessed by you. Thank you so much for including me in this! Wow, God is cool. Thank you. It’s a pleasure, Keela. Wishing many blessings on your ministry. Lauren, what a great list of resources. I’m pinning it now to refer to when I need a pick-me-up in my faith. Goodness knows I need that more often than I’d like to admit, but God knowing that too always fills me up when I call to Him. Thanks for including my Back to Basics posts. I pray others will be blessed by all you’ve shared here. Blessings to you too, dear friend! I’m with you on all those things that set your soul on fire. It’s so exciting to see God using our passions to bring about change. I’m adding some of these books to my must-read list! Wow thanks for this. So lovely to see some familiar names on the list. I will check them out. I am going to have to check out some of these I’m not familiar with! Yes! Praying these resources will bless you, Sheila! Looks like some great resources, friend. Thanks for this list. Hope you are doing well, and hope your vacation was absolutely amazing! Hugs to you. Thanks, dear Julie! The vacation was a nice reprieve, but five days is not long enough! LOL. Thankful for the chance to get away though! Hope you are well. Super list and job my friend! 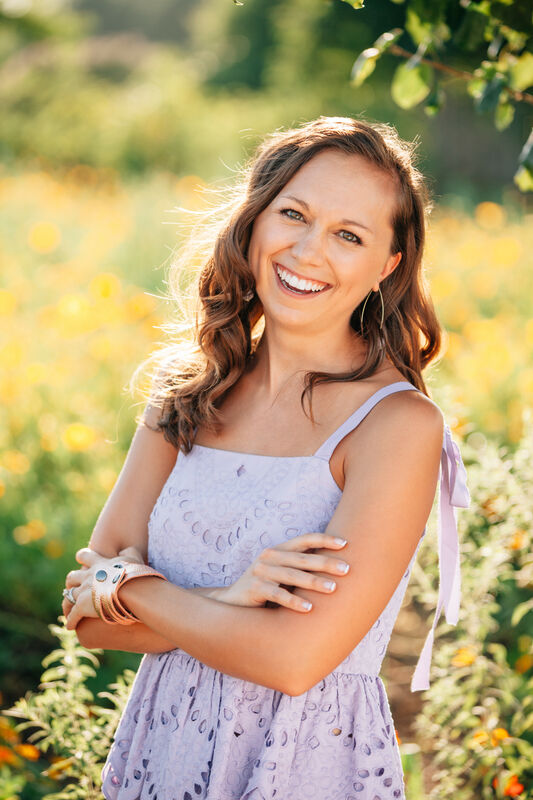 What a wonderful resource and blessing to be featured here Lauren-thank you! I agree wholeheartedly with many of the resources you’ve listed and can’t wait to check out the others. Thank you again my friend! Thanks, Jill! It’s a pleasure to feature you here. Hope you are doing well! Thanks, sweet Sue!! Miss you. OMG! I am so honored to be placed on the same list as people like Sarah Koontz and Melanie Redd and all these other amazing men and women of God that seem so much “holier” than me! I can’t wait to check out some of the other amazing resources on this list. Don’t be afraid to reach out if you need anything! Thank you so much!